True account of Bedouin resistance against Mussolini’s occupation force in Libya. Inspiring in parts. A favourite with some older Tibetans in Dharamshala. 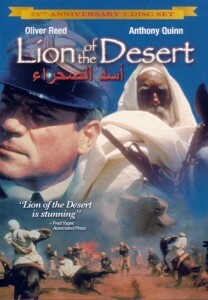 For more details, see Lion of the Desert on The Internet Movie Database.